"YOU WOULD SHOOT YOURSELF IN THE FOOT if you don't listen and study everything Paul has to say. He is up there with the greatest influence masters of all time." Mike Litman, #1 best-selling author of "Conversations With Millionaires"
You're about to discover the same "power link" that separates the happy and successful from the lonely, miserable and failure-prone people in the world. Sound too good to be true? Read on and I'll prove it. Pretty eye opening question isn't it? Some people seem to almost stumble onto good luck, wealth, and opportunities, even when they might be less qualified or intelligent than most... while others work hard, pay their dues but can't seem to catch a break no matter how hard they try. Some people spend their entire lives trying to get ahead by educating themselves, putting in more time than others or simply just giving as much as they can to others... and still wind up broke, lonely and unfulfilled while another group of people get access to more money, relationships and resources than they even know what to do with. In fact, some of these even abuse their power simply because they have so much of it that they take it for granted. To them it's like second nature. Almost like breathing. They don't take the time to think about how lucky they are, they just accept it as a normal part of life. The real question is, which group do you want to be a part of? Well, if you've ever wondered (even for a second) how this elite group of people live the kind of dream lives that they do, then this may very well be the most important letter you ever read. Because today I will be sharing the three most powerful secrets you will ever need to know about how a select group of people ALWAYS position themselves for victory. In fact, you can have none of those things but still join this elite group. Because what you will discover here can be used to transform EVERY single aspect of your life....it's really that powerful. These 3 secrets have been used by people like Oprah Winfrey, Donald Trump, Barack Obama, Steve Jobs (creator of Apple), Mark Zuckerberg (creator of Facebook), Mother Theresa and any other person who has made an immense impact on the world. Whether you like these people or not doesn't matter. Whether you agree with what they stand for doesn't matter. What does matter is what they have been able to accomplish in life and how they did it. Let me spare you the trouble of trying to figure it out. These people possess the power of influence. Influence - as defined by the English dictionary - is the capacity or power of persons or things to be a compelling force on or produce effects on the actions, behavior or opinions of others. You see, many people falsely assume that Oprah is as popular and rich as she is because she has had one of the most watched television shows in the world. And that's true. But what exactly made that show so popular? There were (and still are) countless talk shows on TV that are just like the Oprah Winfrey show. But what was it about hers that made it stand out above the rest? It was her. It was her ability to connect with people. You see, no matter how wealthy or famous Oprah is, her influential ability enables her to have people who may be completely different from her identify with and connect with her. Mark Zuckerberg, who has created the largest social networking website on the planet and perhaps the most visited website in the world, used the power influence in a completely different way. Rather than connecting personally with people himself, he created something that lets other people connect. He utilized the power of something called social validation and let it do the work for him. Simply put, every single one of these people has influenced the minds of other people to get where they are today. Whether you realize this or not, your ability to influence will ultimately supersede your talent, ability, education, knowledge, experience or any other beneficial trait that you bring to the table. The reason why is simple: to truly capitalize on any of those things, you will - at some point - need the help of someone else. In his bestselling book The Millionaire Mind, Thomas J. Stanley interviewed 100's of millionaires (most self-made) to see what success-driving characteristics they shared. Did you know that when asked what the number factor which contributed to their success was, the majority of millionaires said it was their ability to deal with others? That's right. It wasn't their education, their expertise, their start up capital. It was their ability to deal with others. And influence is nothing more than dealing with others. You could graduate from Harvard Law School and be the smartest lawyer on the block; if you can't convince a judge, a jury, or at the very least your clients that you know what you're talking about, you will likely lose to the other attorney who can…even if he/she is less educated. You could have a million-dollar idea or the creativity to change the world we live in by developing something like Windows or the IPod... but if you can't influence the right people to invest in that vision, it will forever remain a dream leading you right back where you started. You could have all the great qualities of a life partner... but if you never influence someone to go out on a date with you and give you a chance, you will most likely remain alone a lot longer than you have to. Perhaps you're not interested in money, status or "winning" per se. Maybe you just want to positively impact the world and make a difference. The power to influence will enable you to get your message across to more people and help them... because they will trust what you say. And once people trust you, they will listen to you. Perhaps you have all the money you need and aren't interested in anything I just mentioned. As a human being, you will still instinctively crave interaction with others. Relationships nurture the soul. Without enough healthy interaction with other human beings, the sane mind begins to go insane. This is part of the reason why people who commit heinous crimes are put into solitary confinement. It's basically a form of punishment to restrict human interaction. The legal system is well aware of how this action affects the soul of the person. It is for this same reason that we see these criminals reading or exercising for extended periods of time. It's their way of trying to stop themselves from going crazy as a result of not having interaction with other people. To sum it up simply, relationships magnify the human experience spiritually, emotionally, physically, financially, and mentally. This ability would enable you to amplify the results in EVERY area of your life. My name is Paul Mascetta and chances are you've never heard of me. BUT, if you purchased a digital product on the Internet over the past 6 years, there's a good chance I sold it to you. You see, I have been the go to copywriter for some of the biggest names in the self improvement circle on the Internet including Steve G. Jones, Dr. Joe Vitale, Mike Litman, Kristen Howe, Dr. Joe Rubino and many others. "I have spent years building my success by providing real solutions to other people's problems. But here's the truth: If I hadn't studied and mastered the ability to influence others, I wouldn't have had the chance to help the people I've always dreamed of helping. In other words, when your success is on the line, I know what tools of influence it takes to get the job done. So listen closely: Paul is a RARE gift to anyone who needs to master the tools of influence and persuasion. Not only has his skills made me hundreds of thousands of dollars, but his insights have changed the course of my business for the better. If you want success in life, in business, in relationships and beyond, trust me when I say that your ability to influence others is mandatory. And with his knowledge, skill, and experience, YOU WOULD SHOOT YOURSELF IN THE FOOT if you don't listen and study everything Paul has to say. He is up there with the greatest influence masters of all time." 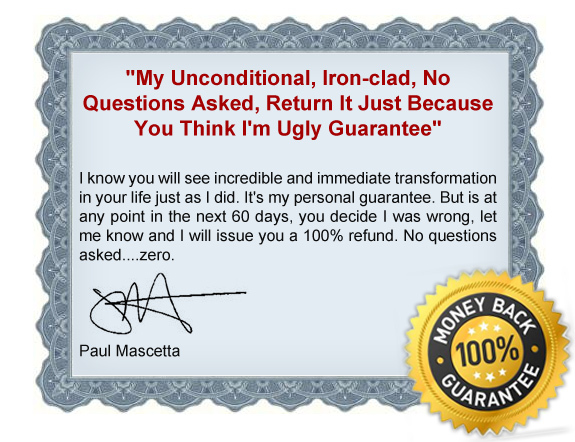 #1 best-selling author of "Conversations With Millionaires"
"Let me be blunt, if you need to learn the skill of influencing others, then Paul has all the tools you need to make that happen (beyond what you could imagine right now). He is the best of the best and one of my secret weapons. He doesn't spout useless theory. He doesn't make it complicated. If you let him guide you, you will become a highly influential person with useful skills that will last a lifetime... faster and easier than you might think possible. 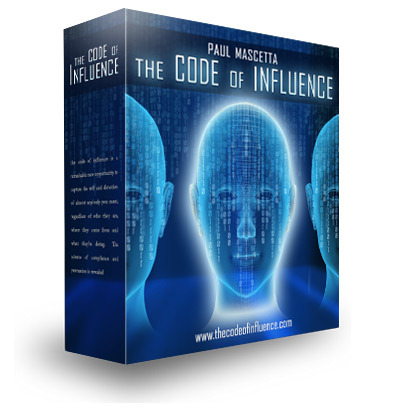 "The Code of Influence is one of the most life-changing programs on the market. 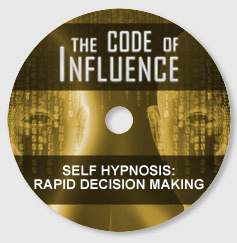 It is filled with an abundance of information on persuasion, influence, making decisions and so much more!" "Simply put, I recommend this to anyone and everyone who wants to master the art of persuasion. What I like best about this comprehensive program is that it's based on scientific principles. This is the real deal." My work enabled them to effectively get their message out to the world, and in the process, has generated millions of dollars in revenue. And the reason why is simple: I know what makes people buy. Buying is nothing more than the decision to spend money on something. And just like any other decision to act, it can be directed through the use of persuasion and influence. And if you think it's going to de difficult or take a lot of your time, think again. Because what you will learn will be like riding a bike: after a few tries, you'll have mastered it and you will never forget how to do it. My name is Paul Mascetta and I have read, watched or listened to nearly every piece of material ever written, spoken, videotaped or showcased in any form about persuasion and influence. But to be honest, I didn't even have to. You see, certain people are born with natural abilities and when it comes to math, manual labor or any kind of sport... and you can count me out. On the other hand, when it comes to persuasion, influence and having the ability to get people to do what I want without manipulating them, you can say I'm one of the best. Ever since I was a young boy, I knew my mouth was my greatest asset. For as far back as I could remember, I was always getting into some kind of mischief and I was always using my mouth to get out of it. At a very early age, I realized this simple but powerful truth: a person's ability to connect and influence others will supersede their level of education, experience, talent, financial status or any other attribute that they bring to the table. Here's why: (whether you choose to believe it or not) every single desire, want, material item or benefit to you either comes from another human being or is correlated to the deep meaning of relationships that magnify the human experience. In other words, if you want things out life, chances are you're going to need the help of someone else. And even if you have everything you want out life, what good is it if you can't share it with someone else? I realized many years back how powerfully true this is when I saw people get jobs with less experience or education than others simply because they were more likeable. Or when I saw the guy with no job or money... and perhaps even a history of being a cheater... get the girl over the guy who had it all, simply because he had no charm. The point is that once I knew how powerful persuasion was, I made it my business to be as influential as possible at all times. This doesn't mean that I was trying to persuade people every time I saw them either, because certain people need to be influenced over a period of time before they really can trust you. This, and other "rules" of the game, were things that I began to discover and ultimately begin utilizing to gain more likability from others. And once people like you, you can begin to influence them. As I got older, I began to think maybe there's an actual science to this persuasion stuff. And so I began researching and ultimately immersing myself in as much information as I could get my hands on... about influencing others and what causes people to think and behave in certain ways. I wanted to see if there was scientific evidence that supported the things that I had suspected all along. Well, I not only found all of the proof that I needed, but I also began learning some stuff that I never even imagined. Armed with a passion to learn more and an arsenal of persuasion tools, I worked for many years in sales, from industries ranging from Wall Street to fitness... and always crushed whatever sales quotas I was given. But They Were Broke And I Was Cashing In"
My friends always thought it was a little crazy to work in commission based job where your next paycheck is never guaranteed to be the same. And I always thought it was little crazy to get the same paycheck as someone else that you may work harder than. 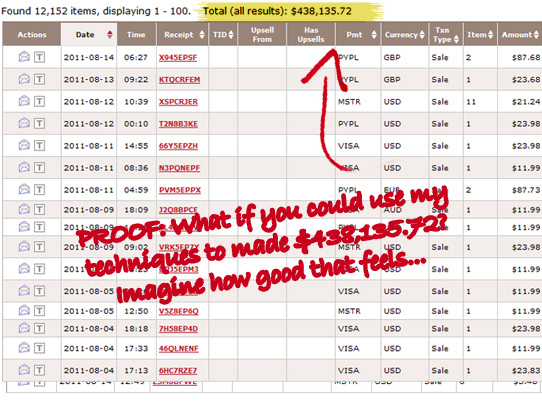 I also thought it was a little crazy to get paid the same amount of money every week. I loved being in control of how much money I could make. When I would get bored with selling in one type of industry, I would move on to something else to see how I could apply my persuasion tactics there. And what I learned was that, at the end of the day, it's all the same. The principles of persuasion are universal. All I needed to do was gain knowledge about the product or service that I was selling, what separated it from its competitors, and synergistically combine that information with what I knew about the psychology of influence. After years of basically writing my own paycheck, I decided I didn't want any more paychecks…well not from employers anyway. I wanted to work for myself and call my own shots. With the rise of business being done on the web, I got into the sales copy writing aspect of Internet Marketing... and my job was to take a product that someone created and make the world want to buy it without having a single conversation with them. I simply write a letter which then gets pasted on a web page for the world to see and the work is done. The only catch is that that letter better be damned good... or I won't be getting any more calls to do any more writing. Long story short, my sales copy has generated millions of dollars in revenue for over 100 websites across the world. And the reason that it has done so is not because I was born with a God-given talent or because I'm special, it's because I studied and mastered the principles of influence (which isn't nearly as hard as it sounds) and used them over and over again. And the good news is you can too. In fact, when I really think about it, I'm amazed that everyone in the world isn't an expert influencer because it's just that easy to become one. And so I began to ask myself "why is this such a problem for some people?" The answer that I came up with is simple: most people don't even know what influence is. They assume that influence and persuasion are the same but nothing could be further from the truth. 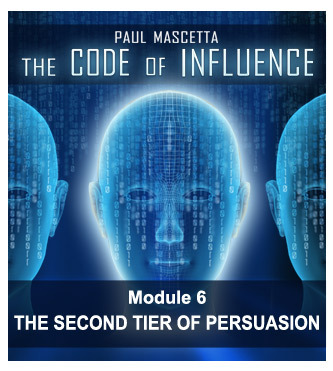 Persuasion and influence are not the same thing. Persuasion is when you use a set of tactics to gain compliance from someone or get them to do what you want them to. Influence is a state of your identity. It's your presence. It's who you are. And when you attain that state of being truly influential, you gain what's known as conversion from someone, as opposed to compliance. Compliance is when someone does what you want them to but you haven't necessarily affected their belief system. What you've affected is their thought process. In other words, you've gotten them to act in way that they may not necessarily agree with deep down inside. They may just comply because outside factors like social norms or immense short terms rewards. Conversion on the other hand is much more powerful. Conversion is when you completely change someone's belief system. When you can do that, they will fully buy into your message. When they fully buy into your message, they will follow you even without you saying anything. You become more of a symbol for what they agree with and identify with. You, in essence, begin to share an identity with them. Big difference there. There are 2 types of influence... but most people only talk about 1. The 2 types are short term influence (which in most cases is persuasion) and the second is long-term influence. Short-term influence is what you do when you want immediate compliance. This could include a sales presentation, a negotiation or a debate where you are trying to change someone's opinion on something. In short, it's to be used it situation where you're trying to gain immediate compliance from someone and (here is the key point) the decision (in most cases) doesn't involve a lot being at stake. Now my belief is that the majority of products and resources available on influence are flawed for two reasons. The first reason is because they assume that persuasion and influence are the same thing. Because of that false assumption, they provide solutions that are based on short term persuasion and can really only be applied in those circumstances. This leads to the second reason why they are flawed is that they talk very little (if not all) about the difference between the way people process information in one of two ways. Not everyone thinks and behaves exactly the same way. Because of that fact, we can't all be influenced the same way. This is where most programs on influence and persuasion fail. They're betting on the fact that everyone will comply when you use the contrast trigger or the social validation trigger. They're betting that the moment you use the scarcity trigger and make something less available, that EVERY person will automatically jump on beard and comply. But nothing could be further from the truth. Not everyone is going to be moved to action from scarcity or association or contrast or any other trigger for that matter. It really depends on 4 factors which make up the Code of Influence. The Mechanics or the influential tactics. The Human Need that is driving your target. The Personality Type of your target. The Decision Making Process that your target uses. Understanding all three of these components of the code of influence skyrockets your ability to gain both compliance and conversion from others... because you now have the ability to adapt your presentation to their specific need, personality type and decision making process. You now have all the tools you need to get your message across regardless of how your target is processing your information. Knowing all of this, I set out on a mission to create a program that encompasses all of this information... but also organizes it in a way that's easy to understand and apply. 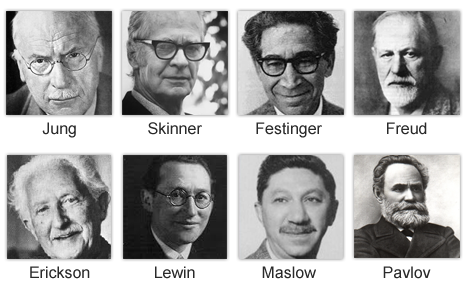 Now, I've spent years researching behavior, psychology, marketing, persuasion and the works neuroscientists and psychologists like Carl Jung, BF Skinner, Leon Festinger, Sigmund Freud, Erik Erickson, Kurt Lewin, Abraham Maslow, Ivan Pavlov and many others. The Common Denominator Revealed - Here I'll share the common denominator which literally defines the level of success that each person experiences in life. This is something you must know unless you plan on being at a huge disadvantage. The Power Link - Here you'll learn how to use the link of power to your advantage so you can join the ranks of the most successful and happiest people in the world. Truth About Influence - Discover the facts about influence and why most teachings on it are critically flawed... so you don't make pointless mistakes. Persuasion vs. Influence - Many people think persuasion and influence are the same... which they are not. Here you'll learn the difference between the two and how to use each one to your advantage... the correct way. Compliance vs. Conversion - Here I'll share the difference between changing a person's thought process and changing their entire belief system. This will skyrocket the amount of agreements your get from people. The Power Pre-factor - Here I'll reveal the factor which makes you appear powerful in the eyes of your target before they even meet you. Power leads to respect... which leads to the trust needed for people to follow your commands. The Triune Brain - Here I'll introduce to a little known map of the brain, developed by a leading neuroscientist in the 1960's, which shows you how people really make decisions. 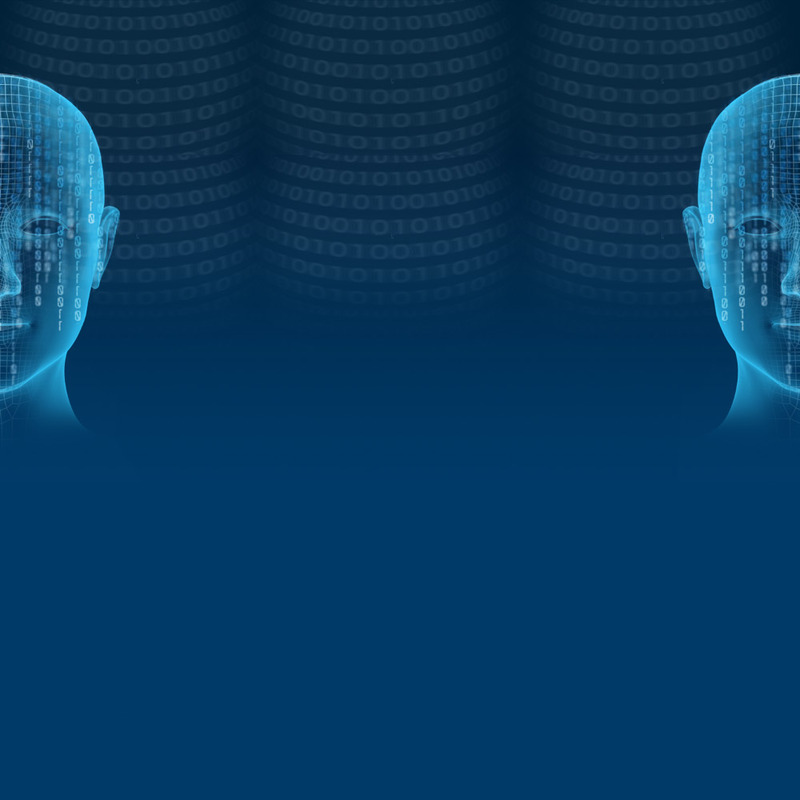 Information Processing Routes - People process information in one of two ways. Here I'll reveal both so that you can tailor your presentation and always get your desired outcome. Long Term Influence Keys - Discover the secret to having the ability to influence all kinds of people over and over again as opposed to just once or twice. Truth About Habits - Most people falsely assume that a habit takes 21 days to form. Here I'll show you how you can get people to form habits that support you needs in as little as a few hours. Ten Observations About People - Discover ten things you simply must know about people and the way they respond to information most of the time. Emotion vs. Logic - Here I'll show how to persuade when someone is emotionally engaged... plus I'll give you 5 powerful steps to use when they're using logic to process your message... so you can persuade in all situations. The Triggers of Mind Control - Here you'll learn 10 powerful triggers that range from the ability to get a "yes" from someone before they even know the details of your request... to a powerful tactic to prevent your target from procrastinating on taking action with what you ask of them. Persuasion Signals - Non-verbal communication accounts for the majority of the way people exchange information. In this part of the module I'll show you an array of body language reading techniques so you always know what your target is thinking. Social Proof Mastery - Discover three dangerously effective ways to use social validation to get your target to accept your ideas, opinions and proposals. Scarcity Induction Techniques - Most people know that things become more desirable as they become less available. Here I'll reveal the 3 most powerful ways to induce scarcity so your target jumps all over your offer. Storytelling Expertise - Everyone loves a good story; especially when it's told the right way. Here I'll show you how you can use the power of a good story to engage and close your target. The Persuasion Mindset - Here I'll share the critical things you simply must do to prepare yourself mentally to persuade others, so that you don't tense up and lose focus. Behavior Modification - Here I'll reveal the secret science to changing the behavior of anyone you meet, so they consistently do what you ask of them. Presentation Essentials - Your presentation must contain the elements revealed here in order for it to work. Miss this and you miss the boat. Four Pillars Of Persuasion Success - Here I'll share the 4 factors that must be present for the process of persuasion to take place. Most people overlook these and completely drop the ball. Truth About Belief Systems - Here you'll learn how people really formulate beliefs so you can understand how and why they make the decisions they do. First Impression 101 - First impressions are indeed everything. Here I'll reveal the critical keys to making a killer first impression so your target is immediately attracted to you and open to your message. Five Ways To Build Unshakable Credibility - Here I'll show you how to gain expert status in your respective field so your target never even thinks of dealing with a competitor... in both business and personal settings. Mind Reading Mastery - Here I'll show you the same techniques that I have used for years to literally peak into the mind of anyone you are communicating with to gain a bird's eye view of what they really think of you. The Power Of Questions - Most people know that questions are essential to sales and persuasion. What they don't know are the five rules that you must follow when asking them. Here I'll share them in detail. Pacing - This NLP power tactic will enable you to stay in control of your conversations at all times. Leading - Here I'll introduce you to another powerful NLP technique that literally guides your target right into your desired outcome. Time Zone Tactician Techniques - Discover a little known strategy to gain compliance from your target by mentally removing them from the present moment. Overcoming Resistance - Discover a proven formula for changing your target's mind when he/she says no to your offer. Reactance Resistance 101 - Here you'll learn how to deal with "knee-jerk" rejection responses and how to immediately change your targets thought direction to one of compliance. Gaining Compliance - Here you'll learn the essential steps involved in the process of getting people to comply with your requests. The Six Levels Of Needs - Here I'll share the 6 levels of needs that all human beings have so you can quickly determine where your target is and how you can have them perceive you as a hero. The Ten Needs In Detail - Here we will dive into the ten human needs that serve as the reason every person on earth desires to live. This is the key to your target's heart and desire. Behavioral Characteristics - You'll also learn about how each need dictates the way your target sees the world and behaves. Presentation Structure - After learning about how the human need of your target affects how they think, you will learn how to use that information to structure the perfect presentation. Five Factor Model - Here you'll be introduced to the "Big Five" personality traits which govern the personalities of all humans... so you can quickly begin to figure out where you target stands. The Fourteen Types - Discover the fourteen different types of personalities that exist among human beings. This is crucial to the way your target views you and your offer. Value Identification - In this part of the module, I'll tell you exactly what each personality type finds valuable so you can touch on it during your presentation and keep them interested and engaged. Personality Paradigms - You'll also gain a clear understanding of the way each type sees the world so you understand what mind triggers will work effectively on them and how to influence each type. The Five Types Of Decision Makers - In this part of the module, I'll reveal the top five categories of decision makers so you know exactly how to get them to make the decisions that you want them to. Decision Approach - You'll discover the specific details and psychology of why people make decisions the way that they do. This could quite possibly serve you more than anything else in the program. Presentation Structure - Each type of decision maker must have information presented differently... because they all decide differently. Here you'll learn how to present to each one specifically. Final Thought - Here I'll share my final thought what this information could mean to your life. How To Get Results - I'll also share the secret to actually seeing results with everything you've learned. Well that's the question that we were faced with when I decided I was going to bring this to the world. But the truth of the matter is that I knew I could basically price for this resource and people would still be flocking to pay for it no matter what it was. As much as we'd love to believe that someone is going to ring our door bell and give us everything we've ever wanted in life, it doesn't happen that way (well, not right away anyway). In order for you to get what you want, you have to take it. After all, the door to freedom still has to be opened. And since the first step on your part is to take action, I want to make it as easy and painless as humanly possible. You see, I've written hundreds of letters just like the one you're reading right now and I know that in the end, everyone wants value. I know I sure do. So here's how I'm going to give you more value than you even know what to do with. First, even though I could easily charge people THOUSANDS for this information... because it will enable them to have more money than they ever imagined, I'd rather just provide an offer that's just too hard to resist. 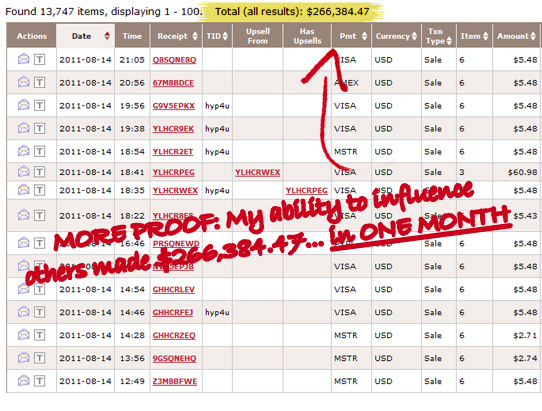 And that's why I'll give you the opportunity to own The Code Of Influence today for just $37. 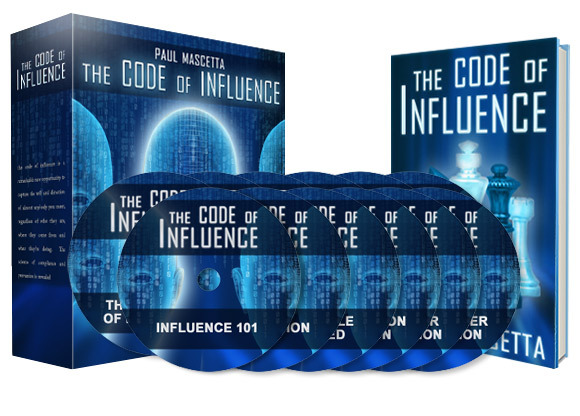 Aside from the abundance of groundbreaking information included in the Code of Influence, I'm also going to include these bonuses absolutely FREE as my personal gift to you. These are not your normal "bonuses." I worked with world-renowned hypnotherapist Steve G. Jones to create a package of his best self-hypnosis recordings designed to help you get the absolute most out of what I'm about to show you. In other words, when you sit back and listen to these self-hypnosis programs, you will finally be able to remove almost all the mental clutter and junk that holds you back. These recordings normally sell for $29.95. That means while other people are paying over $209 for these premium self-hypnosis recordings... you get them all FREE. It's just more proof of how committed I am to your success. “Master the Art of Negotiation” helps you learn to relax. It also clears away unproductive thoughts and the responses that go with them so that rational thinking can take over and seal the deal. Before trying to buy a new car, ask for a raise, interview for a new job, or get your teenager to do more around the house, learn to master the art of negotiation through hypnosis. Use this empowering program to create the charisma and energy needed to have people magnetically attracted to you. Charisma is one of the key elements found in all master influencers. 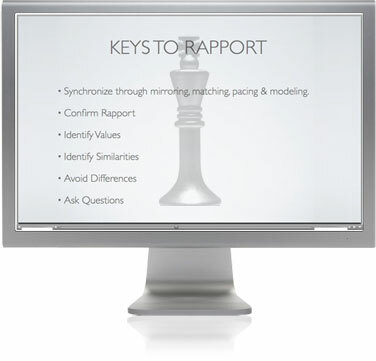 Here you’ll learn how to program your mind for rapid decisions so that you can constantly adapt your presentation based on your target’s needs and never find yourself stumped. This program will help you achieve the relaxed yet confident state of mind needed to become a master of influence and persuasion. It's perfect for those who are uncomfortable or slightly anxious about dealing with others. Here you’ll learn how to program yourself to become a master in sales so you can actually begin making money from your influence and persuasion powers. Become effortlessly confident and smooth as you enter any social environment... and watch how people allow you to compel them to do what you want. Created for those who want the finer things in life, including abundance and affluence, this program alone can change your life when it comes to finances. Keys to overcoming objections or when people say "no"
Isn't the opportunity to FINALLY get what you want out of life worth $37? NOTE: The Code of Influence program contains downloadable audios and e-book. No physical products will be shipped. After you order, you will get INSTANT ACCESS to download the e-book and bonuses onto your computer. The e-book format is adobe acrobat PDF, which can be viewed on Mac or PC. PS - Remember, whether you choose this program or not, if you continue doing the same things... you will see the same results. You MUST take action and change the game up. Order Now For Just $37!